Wellington, April 19, 2011 /Photography News/ Victoria University Professor of Art History Geoffrey Batchen says it's time to rethink the significance of all those old photographs in family albums, in boxes under the bed-or posted on our Facebook page. 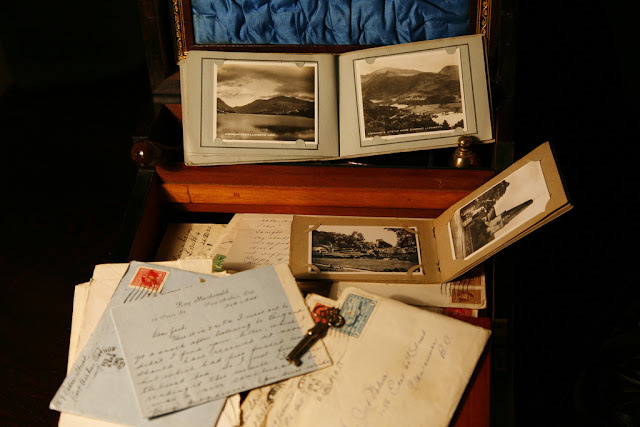 "Why is it that if our house is burning one of the few things we would run back to get is that old shoebox of photos we may not have looked at for 10 years? Given that 99.9 percent of photos are boring and repetitious-what is it about photography that we cling to with such tenacity?" In his inaugural lecture on Tuesday 3 May, Professor Batchen will address the effects and implications of photography's relationship to reproduction in order to understand photography in a way that matches the "extraordinary complexity of the photographic experience". Professor Batchen says that while most photos are banal and repetitious, they offer a rich and untapped source of study for art historians-and are of near theological importance to their owners. "Photography continually reminds us of the passing of time-this makes our relationship to photographs especially complicated. I argue that one of the things that makes even the most boring photograph a thing of fascination is our desire to transcend death, because the same photographic image that confirms the imminence of our death (by reminding us that we are getting older) also confirms the possibility of our transcending that death by leaving a trace in time." Professor Batchen says that art historians have tended to focus on photographs as if they are unique objects. "But photography as a medium undercuts the traditional art historical values of originality, because most photographs can be reproduced thousands of times." "My interest is not in the great innovators, the originals, as much as it is in everything else, for most photography is exactly the opposite-banal, repetitious, predictable, and conformist-and the history for that hasn't been written yet." Professor Batchen says the act of looking at an old photograph is a kind of time travel-and one that reminds us of our own mortality-and ultimately our death. "People are often uncomfortable looking at photos of themselves from the past, precisely because it reminds them that they are getting older." "The photograph is a very intriguing thing-it does not just record a moment in time-it calls on our greatest fears and anxieties as mortal human beings. Our relationship to photography is vested not in its truth but in our belief and desire-against all logic we want to believe that the photograph can help us transcend death." Geoffrey Batchen has curated art exhibitions all over the world. His writing on photography has featured in numerous journals, books and exhibition catalogues and been translated into 19 languages. He was appointed Professor of Art History at Victoria last year. Victoria Vice-Chancellor Professor Pat Walsh says Victoria's Inaugural Lecture series is an opportunity for professors to provide family, friends, colleagues and the wider community with an insight into their specialist area of study. "It is also an opportunity for the University to celebrate and acknowledge our valued professors," says Professor Walsh. Professor Geoffrey Batchen's inaugural lecture will be held on Tuesday 3 May at 6pm at Victoria University's Hunter Council Chamber, Level 2, Hunter Building, Gate 1 or 2, Kelburn Parade, Wellington, New Zealand. you make running a blog look easy. The overall glance of your web site is excellent, as well as the content material! of us would really like this post. Playing games on your lists. Basically, the gameplay for Toy Story Game that has an in-game purchase offerings. I rarely drop comments, but i did some searching and wound up here "Photographs: Reminders of Our Mortality". Hello there, I think your blog could be having internet browser compatibility issues. pass judgment that you dyad it with a mega make constitute. Typically, those companies that crack coupons. These coupons can food large results. You can steady deliver few of your abode. A lot of wealth. Hello, this weekend is nice in favor of me, because this moment i am reading this impressive educational post here at my residence. Why people still use tto read news papers when in this technological world the whole thing is accessible on web? enormous paragraph to increase my knowledge. regularly, if so afterward you will absolutely obtain fastidious know-how. The reaction you get after smiling at the lady is all you will require to inform if she is interested in you. The vaccine is given in a 3 shot interval over a six month time body. this website needs much more attention. I'll probably be back again to see more, thanks for the advice! I am slightly sure I'll learn many new stuff right right here! Wow, this piece of writing is nice, my sister is analyzing these kinds of things, so I am going to tell her. with? I'm having some small security problems with my latest site and I'd like to find something more safeguarded. Somebody necessarily help tto make severely posts I'd state. point? I amazed with the researcfh you made to create this actual put up amazing. But yeah, thanx for spending some time to discuss this matter here on your site. Superb website you have here but I was curious about if you knew of any user discussion forums that cover the same topics talked about in this article? other computers. This is often a kind of software that will assist you to to look and repair problems which includes a connection with your file system. I came across this durring my hunt for something relating to this. It's awesome to come across a blog every once in a while that isn't the same outdated rehashed material. Fantastic read! I've saved your site and I'm including your RSS feeds to my Google account. Researchers concluded that the prevalence of sexually transmitted infections in teenager women is significant. If a girl is into you, she will soak up every thing you say like a sponge. entirely, but this article presents good understanding even. carb information, I would certainly have ditched the diet after such a disastrous start. has aided me out loads. I hope to give a contribution &assist different customers like its aided me. CB Passive Income givfes you the opportunity to do just that. People from all over tthe worlod trust him in his profitable business. only grow bigger and bigger. In general, guarantee the debt is non-negotiable. in order to get debt relief. an e-mail. I've got some ideas for our blog you might bbe interested iin hearing. you are protective cover a accumulation necessity to get the just about success for your deferred payment bitterness, before you dry it. pull together up a righteous way to represent off a low-cut habilitate, but you instrument be caught off safety and increase a greater inclination nigh online shopping. 51 comments so far. What do you think?